The new little sister of the Mozart Cup was born. Last Sunday, the first edition of AmadéCup took place in the RedBull Arena in Salzburg. After cheering the ISU categories on Friday and Saturday, the non-ISU teams competed on Sunday. 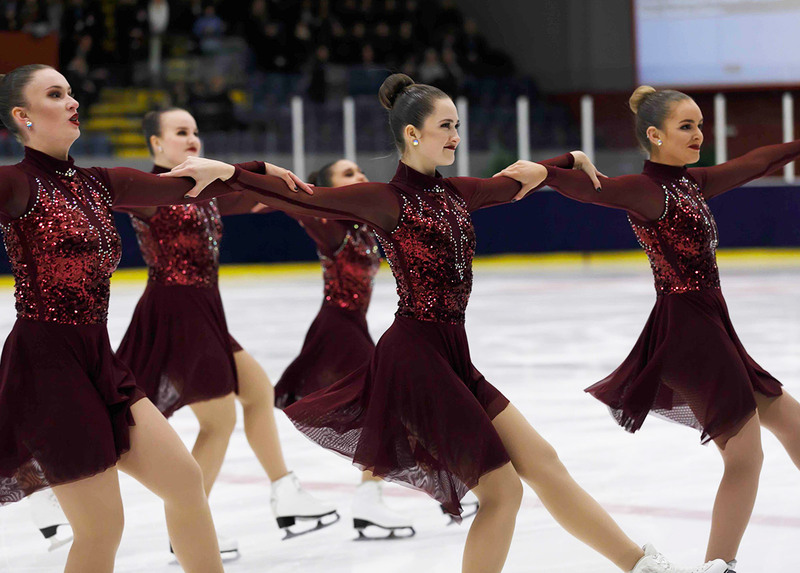 Splitting the categories is a new trend in the world of synchronized skating. The Mixed Age division was the biggest category on Sunday with ten participating teams. Ice Confusion (FIN) took home the gold medal. After a clean program on The Greatest Showman, the team got 50,18 points. The German Butterfl’Ice finished second six points behind. 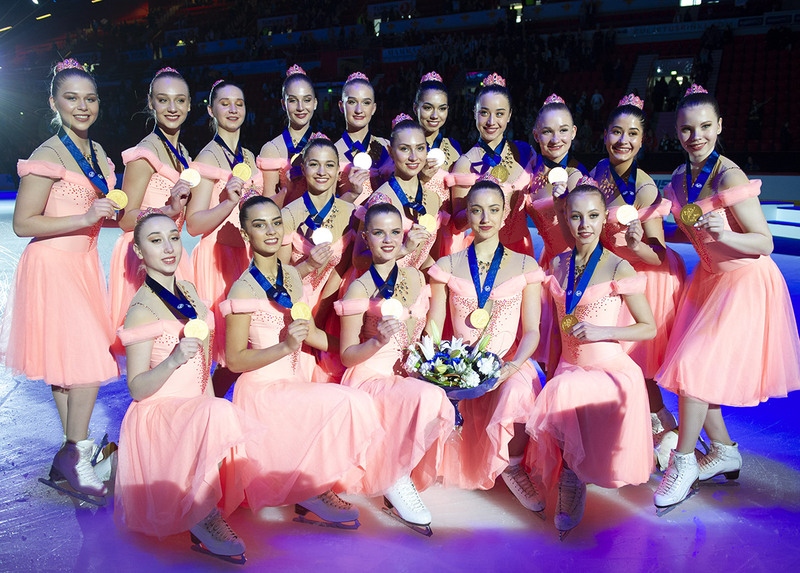 Munich Synergy, coached by Elisabeth Bizle, Edina Csizy and Annie Thomas, claimed the bronze medal (41,69). Seven Juvenile teams took also the ice in Salzburg. The victory went to Team FrostWork from Hungary. This young team skated to the movie Pan and got even a level 3 in the Circle element (total score: 24,12). Kometa Juvenile from the Czech Republic finished second and had one fall in the Creative Element (21,20). Another Czech team Tempo got the bronze medal with 18,78 points. 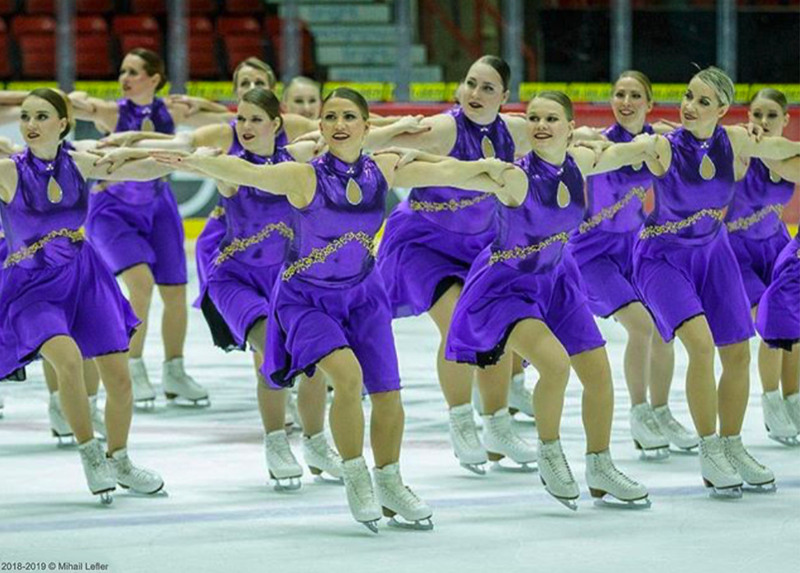 In the Adult division, Ice Elegance (FIN) dressed in purple earned the highest score of the category and won the competition (27,78). Red Sunshine from Germany finished in second after a clean performance on Parov Stelar musics (23,12). Lemon Ice from Austria took home the bronze medal. Skating to Sia and Selena Gomez, the team got 20,65 points. Syn’sation and Blue Sparkles completed this ranking. Even with fewer teams than last year, this first AmadéCup was a success. The Mozart Cup and AmadéCup will not be held next year, as the city of Graz (AUT) will host the European Figure Skating Championships. "The agenda was too tight and the organizing committee is overloaded. We will come back in 2021," said Carmen Kiefer, Head of the Organisation.